1. It's not just the parents who are wealthy. 1 in 5 (22%) of couples who had a luxury wedding last year have an annual household income of over $500,000. 2. It's not just mom or dad footing the bill. More than a third (38%) of couples having a luxury wedding pay for part or all of the wedding themselves. This means that potential wedding budget money is likely competing with other financial priorities: investments, retirement, a new home purchase, and even taking care of other people (1 in 5 millennials are financially responsible for family members outside of their household). 3. Million dollar weddings are a real thing. 10% of couples having luxury weddings spent a million dollars or more last year, a percentage that actually increased from 2015, believe it or not. While 10% may seem like a small percentage, it's still a significant number of weddings. The competition may be fierce, but there is plenty of work in this ultra-luxe segment to go after. This is one of those facts that creatives don't like to hear, but just because Pinterest may not be your social platform of choice doesn't make it any less valuable to engaged couples in research mode. Remember, people use social differently when wedding planning than they do in their daily life. These couples may not be DIYing everything, but they are highly educated and do their homework. They will expect you to know everything about every idea they bring to the table, and they will come armed with research. This isn't a knock against you as an expert, it's them trusting that you know even more than they can possibly find online. 5. High-end brides and grooms read both print magazines and wedding blogs. 1 in 5 (20%) of brides or grooms started reading wedding magazines before they were even engaged, and nearly half (42%) read wedding blogs before getting engaged. It's a lot easier to read blogs on the down low before a ring is on your finger than it is a magazine, but this group does read both print and digital. With this highly educated group, it's important to make sure that your marketing and publicity efforts aren't narrowly focused to just one platform or media outlet. You can learn more about the luxury wedding market and how real couples are making their bridal purchase and hiring decisions by downloading the 2017 Luxury Wedding Market Report from Splendid Insights. You can also download the Ultra Luxury Wedding Market Report (budgets of $500,000+) or choose from over a dozen other wedding market reports. I'm excited to share that to go along with the brand update for Think Splendid, Splendid Insights also received its own refresh. You can check it out here. Special thanks to Kelly Ashworth of Kelly Ashworth Design (check out her new site while you're at it) and to Nancy Ray who is our photography partner for Splendid Insights, supplying the photos you see on the site and in the wedding market reports. Luxury weddings in the United States (budgets of $96,000 or higher) made up 3% of total wedding spend last year, down from 6% the year before. 78% of American couples are paying for part or all of their wedding themselves, up from 72% the year prior. 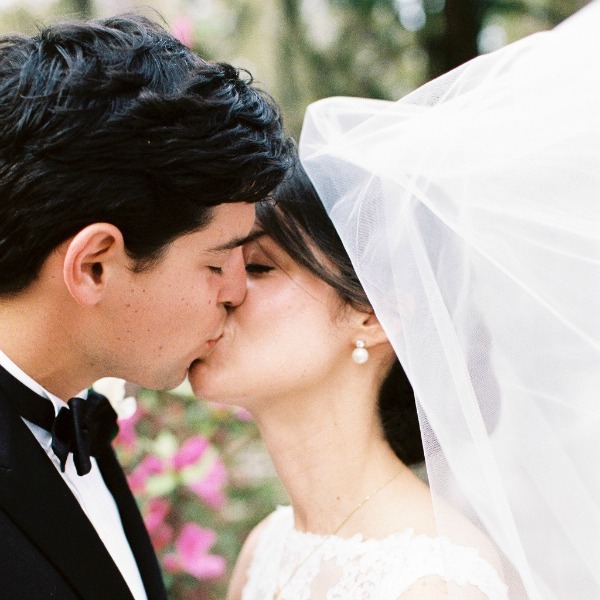 The top three words American brides and grooms used to describe how they wanted their respective weddings to look or feel were feminine, fun, and comfortable – in that order. 1 in 3 brides or grooms read print wedding magazines on a weekly basis while planning their wedding and 10% flipped through a bridal magazine daily. Pinterest is still the top social media platform for wedding planning and Instagram comes in at number five (same as last year, though growing in use). You can download the 2017 US Wedding Market Report here. You can also view the other 2017 Wedding Market Reports here, including the Global Wedding Market Report, the Australian Wedding Market Report, the UK Wedding Market Report and all four wedding budget segments (Economical, Standard, Premium, and Luxury).